Our PMS-800 and PMS-800V (Variable) differ significantly from other devices of its kind in that they are controlled by a microprocessor with fully operational touch screen interface. 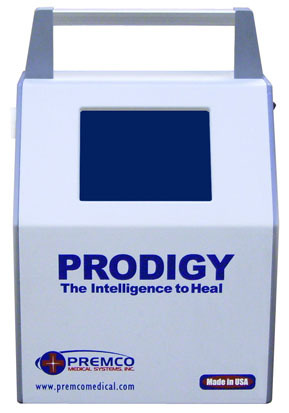 Both units adapt easily to use in a general hospital, clinic, outpatient and homecare evironment. Both therapy units contain a vacuum pump, control circuit, CPU, touch screen, battery and housing. These units are easy to operate because all the operational information is in an easy to understand format. While other vacuum pumps must run continuously at full speed, our units run at the minimum speed required to maintain the vacuum. Thus our units use less energy, use smaller and lighter battery, which makes them lighter and much more portable.